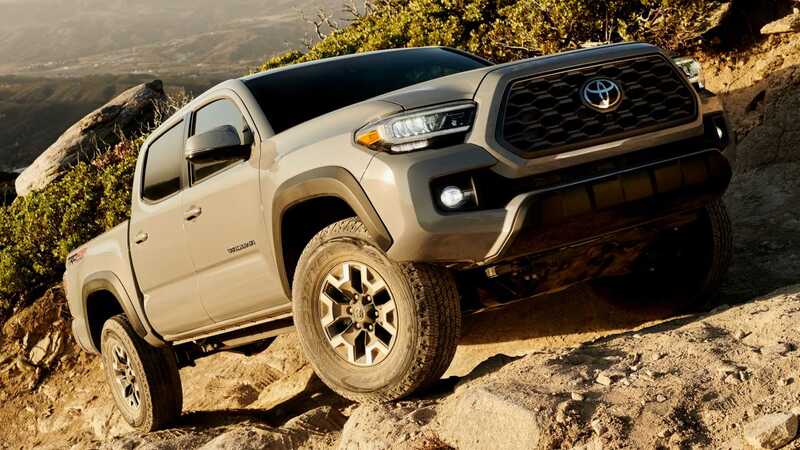 For the past 15 years, the Toyota Tacoma has been the single most popular mid-size pickup truck in the United States, with the company selling over 245,000 units in 2018 alone. However, the competition has been getting tough lately with the Ford Ranger making a comeback in the US market. To maintain consumer interest, Toyota has done a quick facelift of the series. The 2020 Toyota Tacoma truck sports new wheels, a restyled radiator grille and blacked-out brake lights. The top trim now includes LED headlights and 360-degree all-around view cameras. Like before, customers may choose between 1.5 and 2 seat rows. On the inside, there is a new multimedia system with a larger display and smartphone connectivity. The main display is now also bigger (7”, up from 6”). Optional equipment now includes power front seats. From the mechanical point of view, everything stays the same. The new Toyota Tacoma still ships with a choice between two naturally aspirated engines. One of these is 2.7 liters large and rated at 161 hp (120 kW), whereas the other has 3.5 liters of displacement and churns out 282 hp (210 kW). Transmission choices cover both manual and automatic. The refreshed pickup line will arrive on the U.S. market in the spring of 2019.